Full-resolution files are 4592×3448 pixels, which means prints at 300ppi are sized 15.3×11.5in, or 19.1×14.4in at a perfectly acceptable 240ppi. In short, the GF6 produces pictures around A3 in size. View pictures at this size, and the GF6, with its kit lens, is capable of rendering crisp detail. This is certainly the case in good-contrast light and for close-range subjects like a head-and-shoulders portrait. As it uses the same sensor as the GX1, it comes as little surprise that the GF6 also reaches the 26 marker on our resolution chart at ISO 160, using the kit lens set to its 50mm (equivalent) focal length. For an entry-level CSC, this performance is good and matches many other cameras with similar pixel counts. At higher sensitivities, resolved detail is still respectable, reaching the 22 marker at ISO 6400. The four thirds sensor of the GF6 renders detail that, on the whole, feels a little flatter than that produced by larger full-frame and APS-C-format cameras. A similar level of detail is present, but does not appear to be quite to the same depth. 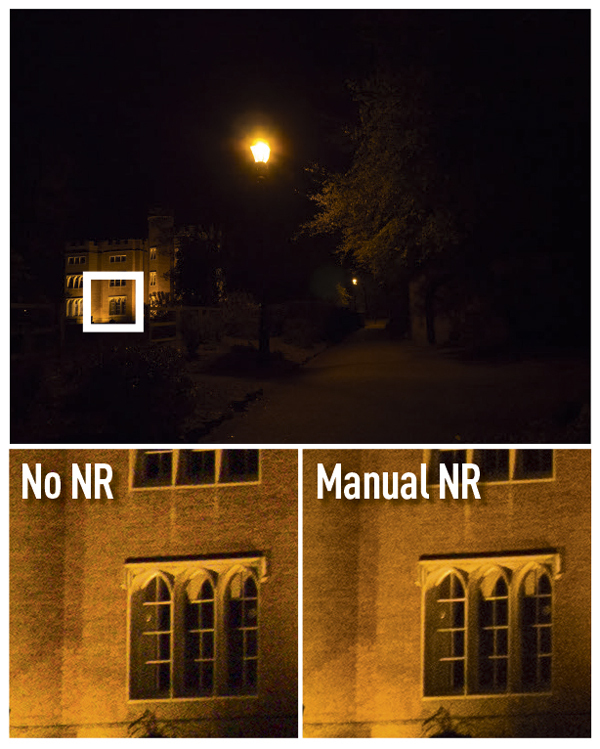 Also, although resolved detail is pretty good, it becomes a little smudgy at higher sensitivities – a result of noise reduction being applied to smooth-out luminance noise. I would still happily use the camera up to ISO 800, and in overcast conditions, but beyond these settings the critical user might start to take issue with image quality. Of course, using any one of the available prime lenses rather than the kit lens will also enhance the quality of detail. The 25mm (50mm equivalent) f/1.4 lens should be on the shopping list of anyone considering the Panasonic Lumix G-series system. 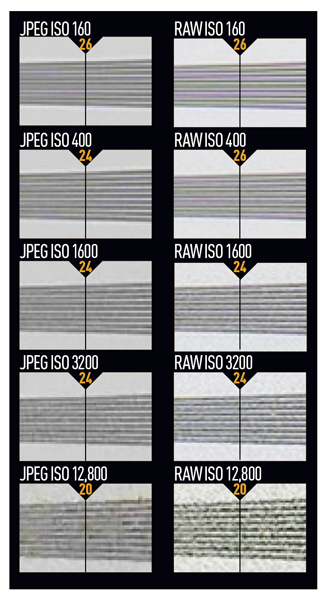 These images show 72ppi (100% on a computer screen) sections of images of a resolution chart, captured using the 14-42mm lens set to 25mm and f/5.6 . We show the section of the resolution chart where the camera starts to fail to reproduce the lines separately. The higher the number visible in these images, the better the camera’s detail resolution is at the specified sensitivity setting.